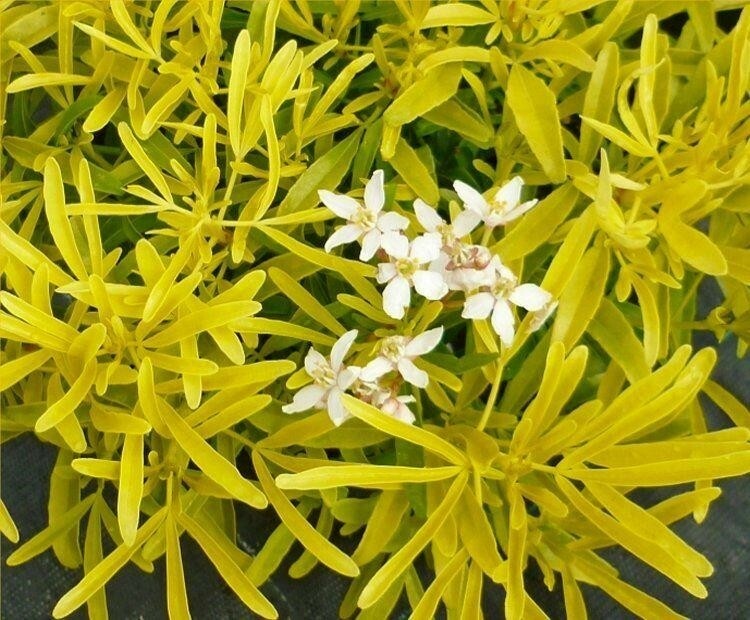 A fabulous evergreen with golden yellow leaves which are aromatic, and resemble slender golden fingers - basically, the foliage shape of Choisya Aztec Pearl with the colour of Choisya Sundance. In late spring, aromatic flowers of white tinted pink appear above the bright gold leaves. Choisya Gold Fingers is ideal for a patio container or garden border. Large bushy plants in approx 2-3 litre containers.